Located in Massapequa, New York, we have been providing physical therapy services to the community since 1993. Led by Raymond Cecora, PT, DPT, MS, CEAS, CPT, we aim to provide high quality and compassionate care. 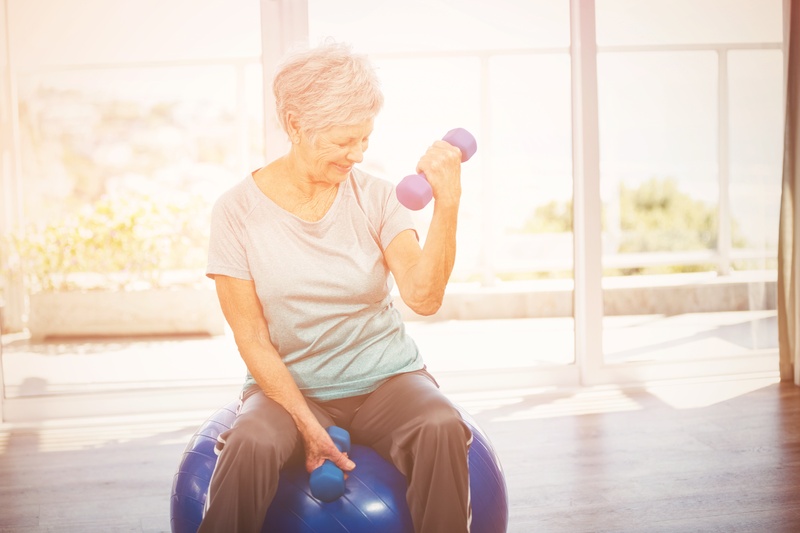 Our goal is to help you restore normal motion, strength, gait, balance, and overall function that has declined due to a condition or disease, safely and effectively. We work closely with your orthopedist, neurologist, sports medicine doctor, dentist, physiatrist, osteopath, and/or primary care physician to plan and execute the most appropriate plan of care for you. Our services include treatment for a variety of orthopedic injuries, work-related injuries, total joint replacement rehab, automobile accidents, post-surgical rehab, sports injuries, injuries to the neck and back, vestibular disorders, balance training, gait training, neurological disorders, arthritis, TMJ, Fibromyalgia, and more. If you are looking for a physical therapist in Massapequa, NY, contact us today to see how we can help you! After treatments and learning exercises I felt I was able to continue on my own towards completing recovery. Received excellent treatment- no complaints. Just a short note to express how impressed I am with the care you gave you gave my son, Paul. The way you poked, prodded, and examined him so thoroughly, is impressive. Equally impressive, however, is your diagnosis. You were the first person to acknowledge the fact that he is a competitive golfer and relate that to his condition. He has seen an orthopedist, a chiropractor, and an acupuncturist, all of whom treated him without regard for a cause. When Paul reiterated to me that you explained to him about how his hip alignment was off due to his golf swing (showing me while doing the movement), I was flawed. To see him demonstrate this, it made sense how it would affect the entire right side of his body. This combined with the fact that he has been golfing since he was 7-years-old and is a caddy on weekends sometimes carrying two bags, 18 holes up and down hills, cannot help. So, just in case you don’t know how awesome you are, I thought I’d tell you. YOU ARE AWESOME! And, thank you. Thank you so much for taking the time to talk to, examine and treat my Paul. I know he will finally soon find some relief. Can’t even tell you how incredible Jack was. Everyone that works there went out of their way. I was at the end of my rope with pain and was not ready for surgery. I can’t even believe I am pain free. Please tell Jack Thank You. I am finally working out again and feel great. Thank you all. Park Physical Therapy has consistently provided me with friendly, efficient, effective service. The office staff is unfailingly friendly and courteous; qualities which are rare commodities these days. The therapists and assistants care for patients with skill and compassion. I have watched them work with young athletes and elderly folks all with equal care and respect. Thank you a for your dedication. I am a new patient at Park Physical Therapy. I want to be honest with you from the start. I never believed in physical therapy, as much as I believed in Chiropractors. When I separated my shoulder this past Sunday the Dr. advised me that I should get some PT. I was reluctant, but I did. I was all ready to tell you that I’m coming once or twice and that’s it. First was your receptionist Robin at the front desk. Her first words were good morning and how do you feel today. This took my poor attitude and threw it out the window. I replied not so good, but thank you for asking. She then advised not to worry that they will take good care of me. I smiled. She has been a pleasure every time I came in, and also remembered my name. That’s huge for me. Good morning Mr. C. always sets the tone. The first day and each day after, I waited for about 3 min. Yes 3 min. and was taken inside. On the first day I was greeted by Mr. Travis Tennie, DPT. He sat me down and discussed in detail my injury and then explained what they can do for me. He was kind and professional to say the least. He brought me into a very clean and active PT area. I don’t need to go into details on the work he performed, but I can tell you I started to feel very comfortable there and relaxed. Just so you know I had a shoulder injury that has floored me. I was already feeling better with the work Travis was doing. The next DPT I met was a Mr. Jarrett Parks, what an absolute gentleman and professional. He was a great conversationalist. He made me feel very comfortable, constantly asking me how I was feeling and seeing if I was in any pain as he worked on me. I been back three times so far and I always was happy to have Jarrett work on my shoulder. This gentleman knows what he is doing and I can tell you he is one of the main reasons I want to go back. I explained to him that I was leaving for vacation, he made sure he gave me the correct exercises and treatments I can do myself while I was away. I’m sorry, I don’t know the name of the young man Jarrett but me with to show me the exercises, but I believe he was new and still in training. What I liked about him was he asked questions. That’s important. I am all about learning, but you can’t take chances with an injury. He spoke to all of the DPT’s there to make sure he was doing each one correctly on himself first, and then asked me to follow. I believe one of the guys he asks besides Jarrett was John (Jack) Bianchini, DPT, CSCS. He made sure that the exercises were correct. The professionalism at this PT was 100% and they even joked a bit which is helpful because all the patients are in some sort of pain, and laughing a bit helps with that. Even the owner Mr. Raymond Cecora, PT, DPT, MS, CEAS, CPT. (wow a lot of titles.!) kidded with me a bit as he was working on someone next to me. He made his staff feel comfortable and you can tell they all like working there. I must also point out that all the therapist talk to each other about what to do with certain patients. They are constantly teaching the newer therapists what and how to do things. Again this brings up your confidence in the staff. After three days I feel 80% better, and all my attitude toward Physical therapy has changed forever. Thank you Park PT you are the best. P.S. I met a friend of the family there as well, I haven’t seen her in at least 5 plus years. She was a close friend of my sons. Her name is Nicole Brock, DPT. Even though she was not able to work with me. I did watch her and see how nice she treated her patients. Always with a smile and always very concerned on their treatment. You can tell she was a professional. Thank you Park PT, thank you. Although I still have some aches I am improved since I have started. I have saved a couple of visits in case I need to tune up. Very satisfied, Nicole was great. After suffering an injury playing soccer with some friends, surgery was the last thing I really wanted for my pulled hamstring. Ray was very attentive to my needs and concerns and helped me get back on the field. Hopefully I never need to go back, but would in a heartbeat if I was ever in need of PT. I will never use anyone else. Ray and his staff made me feel very comfortable. Treatment was excellent they had me up and about in no time at all. It was a pleasure! “Everyone from the PT’s to the receptionists are amazing. I wouldn’t go anywhere else. GIve them all a raise!! I went to see Ray at Park PT when I inherited a terrible groin sprain from playing lacrosse. He is a wonderful therapist- patient, kind, helpful and highly skilled. Thanks to Ray and his team, I am now fully recovered and back in the game! Please know my deep gratitude to you for all your caring help. Pass along to all the PT crew my appreciation for the help and fun the experience was. Treatment was wonderful. I had gotten sick and missed a few appointments and then I needed a new referral from the orthopedist that I put off. Time just flew by. Thank you for your caring treatment. I will be back after I see the orthopedic doctor. I came to Park PT with a torn ACL and various other problems with my knee. I was in horrible pain and very unsure if I would ever be able to do the things I did before my injury. From day one of my physical therapy, I was given the confidence and the help to be able to bring my knee back to its full strength so I could get back to doing what I love, snowboarding. I was very satisfied with my treatment plan. All the staff was very considerate and nice. Nicole was so awesome, top notch!! So sweet, but due to my job being a part time worker I was always called in for duty, made it very hard to come in for therapy. Nothing to do with place or staff. Everyone was nice!! I am a dancer and a gymnast, and I unfortunately dislocated my ankle during a routine practice over the summer. I went to Park PT to get treatment and the staff was kind, understanding and accommodating. I have since fully recovered from my injury and now am armed with preventative exercises to prevent this from being a recurring issue. Thanks so much! I recently finished four weeks of PT at Park Physical Therapy and had an amazing experience. In early November, I tore my rotator cuff at work. I wrestle for WWE as Zack Ryder. I chose to try to avoid surgery by getting a stem cell injection and physical therapy. When I walked into Park PT, I couldn’t raise my arm in any direction. I met with Jack three times a week for four weeks. I now have full range of motion and am back to my normal workout routine. Jack is very knowledgeable and challenged me each session. The rest of the staff was very helpful and friendly. If I do end up needing surgery, I will definitely be going back to Park Physical Therapy. The staff is amazing, Would never consider going elsewhere. Thank You!!! I was in so much pain when I arrived. Jack was understanding, professional and extremely helpful. He took the time that was needed to get me back on track to feeling better. Thank You Jack! I went to Park Physical Therapy with a torn ACL. I was nervous about starting therapy due to the intense pain I was experiencing on a daily basis, but I quickly became confident in the staff members, who were extremely attentive and considerate to my pain levels throughout our sessions. I would absolutely return if I am ever in need of therapy in the future. I would like to thank the friendly staff at park physical therapy (Massapequa) for being so caring, kind and professional. A special thanks to Jarrett for his expertise. I would recommend Park physical therapy. Everyone was very friendly and did a great job. I stopped coming because my back/neck stopped hurting me. My experience was wonderful. In the beginning it was hard but after 6 weeks all of you made me so much better. Now I have returned to gymnastics and could not be happier. Thank you all!